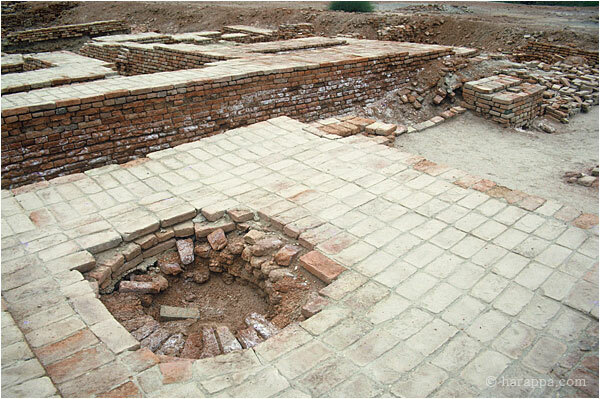 "Remarkable as it may seem, the [700 estimated] well locations at Mohenjo-daro seem to have been laid out when the original platforms were built and were maintained over the history of the city with almost no changes. 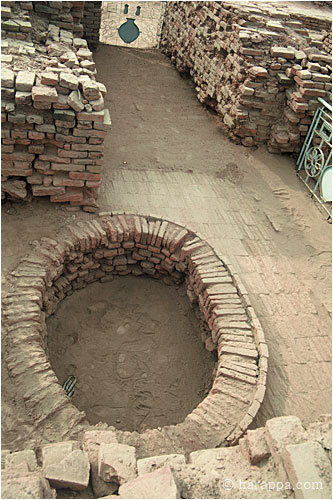 Some were abandoned, but we know of no wells newly sited and constructed after the initial platform building," writes Dr. Gregory Possehl, which he sees as supporting the contention of another archaeologist, Dr. Michael Jansen, that the wells locations throughout the city were planned from the beginning. "Wells are lined for two reasons. First the bricks support the earth and guard against cave-ins and erosion, especially of the well opening. 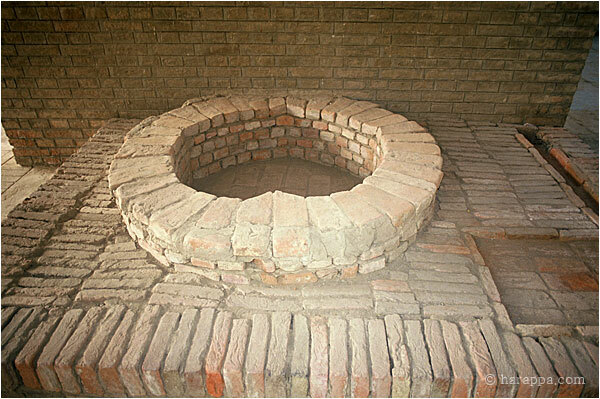 Brick-lined wells also deliver clean, sweet water with a minimum of silt and other large particle-contaminants.. Properly dug and maintained brick-lined wells can deliver perfectly clear water, even on a river floodplain." 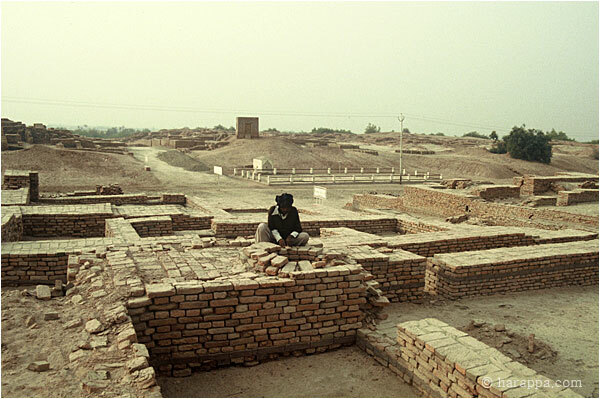 He continues: "The area served by each well and the mean distance between wells is remarkably consistent in the Lower Town; another reflection of the planning that went into Mohenjo-daro from the very beginning. A few wells were abandoned during the life of the city. [Excavator Ernest] Mackay suggests that this took place because someone jumped into them." (Gregory Possehl, The Indus Civilization: A Contemporary Perspective, p. 101).